The year will soon come to a close, but the schemes and hopes of powerhouses remain. While not the most active of months, let us have a look at some of the most probable transfer news that may predict what shall occur in the winter window. 1. Falcao To Return To Spain? Radamel Falcao could return to his former club Atletico Madrid when his contract at Monaco expires at the end of this season. Former Gunner Ray Parlour has urged Arsenal to sign Ousmane Dembele, labelling him to be a quality player. The French forward is struggling at Barcelona after his big-money move, and many have speculated that he could be shown the door soon. However, it is unclear whether Unai Emery’s side will have the financial capital to urge the Spanish side for a transfer. Juventus will battle it out with Manchester United, amongst other clubs, to sign Fiorentina defender Nikola Milenkovic, according to Goal. The 21-year-old Serb is thought to be a keen Jose Mourinho target, as the manager wishes to bolster the defense of the Red Devils. But the youngster’s antics in the Serie A have attracted interest from across Europe. As of such, a transfer battle could take place in the winter for his signature. 4. 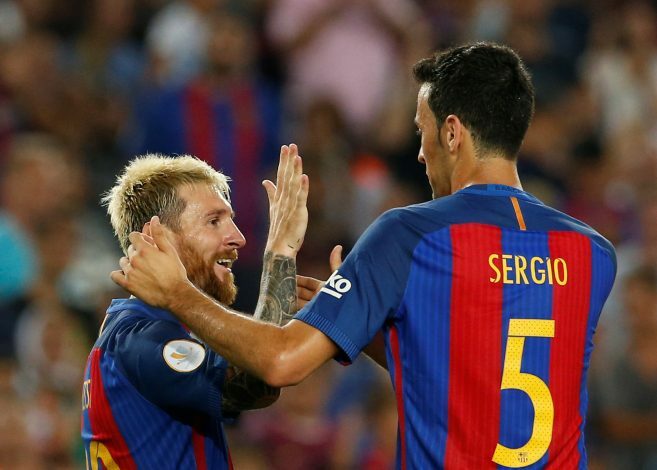 Busquets To Reunite With Guardiola? Manchester City could soon welcome Sergio Busquets to their ranks, after the midfielder’s comments during his interview with Sport. Speaking about Pep Guardiola, he states: “I have a special appreciation because of what he’s meant for my career, his way of reading games, understand football, giving you the keys, transmitting [his ideas]. 5. Godin To AC Milan? As per Calciomercato, Atletico Madrid could soon lose their captain, with Diego Godin reportedly having agreed to join AC Milan. The alleged deal is said to be two-year-long, and would see Godin make €4 million each season.